You probably hear about data breaches and cyber attacks all the time, but do you understand what you're reading? Often times it's a lot of information thrown at you, it's too technical, and it's hard to digest it all. Our mission is to help our customers be successful with technology, and that means presenting information in a way that you don't need to be a senior tech to understand it. We want you to be able to understand how this information pertains to your business, and how to stop you from becoming one of these statistics. We created a fast facts sheet with the most important facts about data breaches that we think you need to know. "A recently-disclosed Microsoft email-platform breach is reportedly much worse than previously thought, now impacting a large number of Outlook accounts as well as MSN and Hotmail email accounts. On Friday, a slew of Outlook users reported receiving notifications from Microsoft. The notification warned of a data breach impacting accounts between Jan. 1 and March 28, but said that the breach only impacted “some” accounts, and that the content of emails and any attachments were not exposed. However, a Sunday Motherboard report said that the breach is “much worse” than previously reported. According to Motherboard, the hackers were, in fact, able to access email content, and that the breach impacted a large number of Outlook, MSN and Hotmail email accounts"
Multi-Factor Authentication, similar to Two-Factor Authentication, is a way to further protect you, your business, and employees from cybercrime. With the ever rising rate of hacking and other cybercrime, it's more crucial than ever to safeguard your sensitive information. It's no longer enough to just have a strong password. This is where MFA comes into play. Let's break it down. Everyday you hear about another company getting hacked, breached, or cyber attacked. By now you may be desensitized to it, especially since it always seems to be large companies getting hit- which you aren't. You may think that makes you less likely to be hit, but please know that's not the case. SMB's get attacked equally if not more than larger companies. The reason being is that they tend to have less resources available to create and maintain a holistic cybersecurity plan. If your firewall isn't properly configured, if your employees passwords aren't up to industry standards, if the free trial of your antivirus expired last year, you might as well have a "we're open" sign on your network as well as the one that you have on the front door of your business. Why You Need To Upgrade Your Windows 7 Machine, Seriously. Many of you are probably still using a Windows 7 machine. 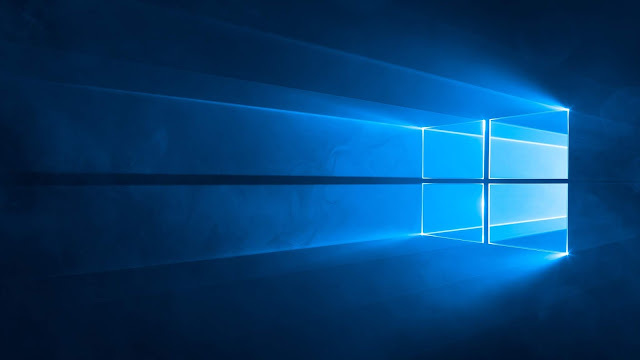 42% of all windows PC's are running Windows 7 even with Windows 10 being out for nearly 3.5 years already.¹ Some may say that's a testament of how great Windows 7 is, but are you sacrificing cost, security, and optimization for whats comfortable? The timeline for mainstream support came to an end in 2015, while enterprise licenses are still supported through January 2020. This extended support may sound great, but the 11 months you have left will fly by faster than you think, especially if you have multiple machines to upgrade. Why Do I Have to Upgrade? In the U.S, over 3.7 million people have medical devices connected to their body- that doesn't include the millions who use fitness bands. While these devices are useful and even critical for your well being, are you sure the data from them is safe? With laws like HIPAA and HiTech in place, you would think your personal, sensitive information would be safe and confidential with your doctor, but with more technology integration in healthcare, the risk for data breaches has increased. While technology in healthcare is not a new concept, the rise of biometrics like facial recognition, fingerprint scans, fitness watch data, and even implanted devices makes the possibility of data breaches more personal.